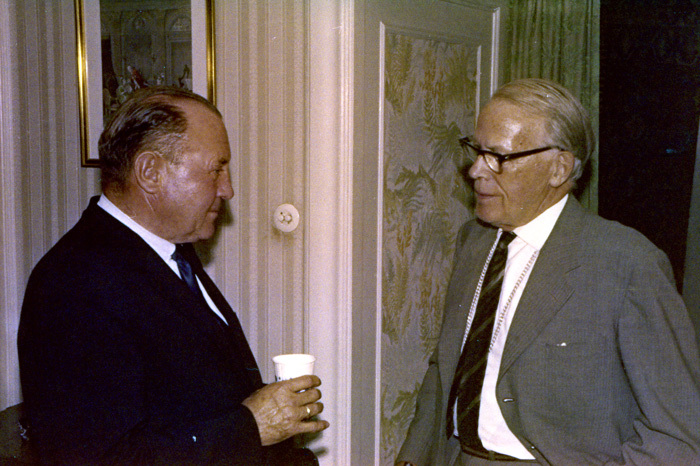 In August 1989 AFU collegue Anders Liljegren and I succeded in rescuing the exceedingly important correpondence files of Swedish UFO research pioneer K. Gösta Rehn, for many years the APRO representative in Sweden. We found them dumped in a container. 32 binders of correspondence with UFO witnesses, ufologists and scientists from all over the world. 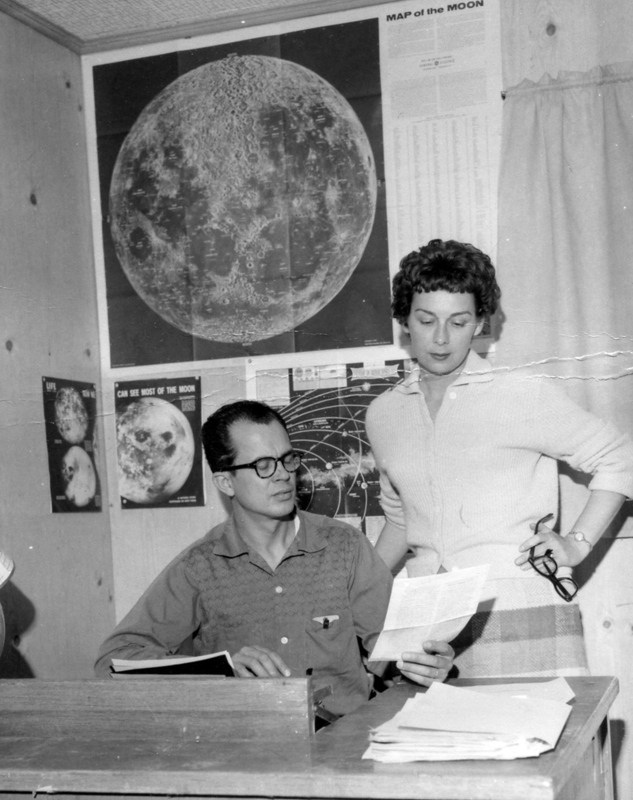 A treasure trove of fascinating data giving personal insights into the UFO movement of the 1950s, 60s and 70s. The last couple of days I have once again read all the 220 letters exchanged between K. Gösta Rehn and Coral and Jim Lorenzen, the founders of Aerial Phenomena Research Organization (APRO) in 1952. The letters covers the period 1958-1979. The APRO correspondence is especially important as the APRO archive is unfortunately not accessible. 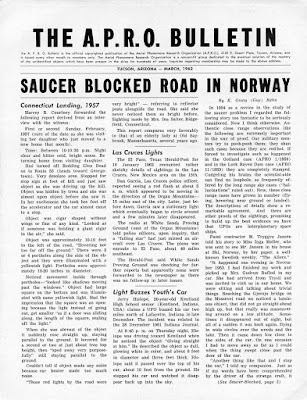 The sad story of how this unique archive was lost to the UFO research community was given by Clas Svahn, UFO-Sweden, in an article 2000. The APRO files are still, as far as I know, stored in a warehouse belonging to Mr. Bryan Myers and Ms. Tina Choate in Sedona, Arizona. Hopefully they will make this unique collection open and accessible in the future. Without archives we have no history, only anecdotes and hazy memories. K. Gösta Rehn became the Swedish APRO representative in 1958. He corresponded mostly with Coral E. Lorenzen and they soon became very intimate friends, not just discussing UFO issues but writing about everyday problems, diseases, life and philosophy. The first formal letters soon changed in tone and were later often signed Love and kisses. This was probably because Gösta (Gus) and Coral found out they shared many views not just on UFOs and research but on life in general. In a letter December 18, 1959 Coral wrote: "I am probably as irreligious and radical as you are; that is something we will be able to talk about a lot and you shall find a kindred soul. I hate tradition, hypocrisy, short-sightedness, etc. etc. with a purple passion. I was raised a Baptist and got wise to the religion racket when I was about 12 years old. I am nothing now and cling to some fundamental convictions of my own - a supreme being is about as far as I´ll ever be able to commit myself as far as religion is concerned... No, you didn´t misstep Gus - it´s refreshing to correspond with someone like you, believe me." 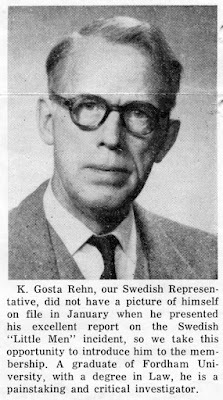 K. Gösta Rehn was 60 years when he became an APRO representative in 1958. 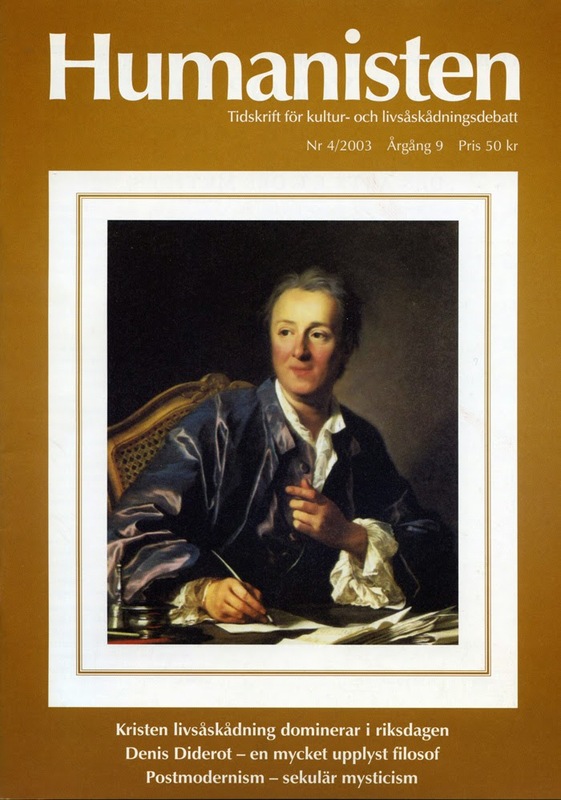 In spite of his age he was in good health with an exuberant intellect and soon engaged in field investigations, documenting Swedish close encounter cases and regularly sending manuscripts to be published in The APRO Bulletin. He introduced himself in a letter September 12, 1958: "I am grown-up, all right, 60, not a crank or crack-pot, ex-American with 20 years stay in the USA, since 1939 amanuens in the Swedish State Power Board, Stockholm. I have been writing some articles for a Swedish magazine, engaged in cultural debate. I am a Batchelor of Law and Batchelor of Arts (Fordham)." To the Lorenzen couple and K. Gösta Rehn it was self-evident that UFOs represented interplanetary visitors travelling in physical, technological craft. Like Robert Hastings has noted today, they were aware of that many observations were close to military installations and nuclear weapons sites. In 1959 Coral Lorenzen and the Brazilian APRO representative Dr. Olavo T. Fontes, M.D., interpreted this as preparations for an impending attack: "In short, we expect an attack of some kind in the not too distant future. We think we know how they will do it, and control the panicked population at the same time. We are convinced they are building bases in preparation, at the present time. Fontes is more optimistic about the possibility of defense than I am - I think we would be fools to try to defend ourselves." 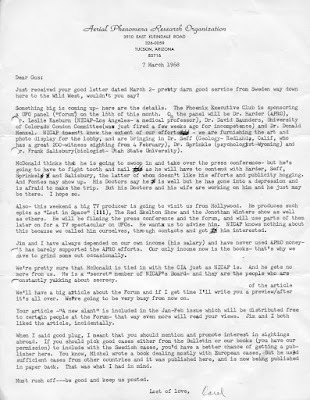 (Letter, October 22, 1959) Later Coral presented a somewhat more philosophical view regarding possible hostility: "... we cannot hope to devise a defense against a race which is obviously thousands of years ahead of us, despite the fact that at least 6 discs have crashed, and we are using their basic principals as best we know how... I don´t think they are aggressive just be to aggressive, Gus. I think they consider the people of this overpopulated world to be dangerous to them, with space travel and nuclear fission and precious little spiritual maturity in our hot little fists. And I don´t think I can really blame them. I think they have maintained outposts here and there at the closest planetary systems throughout the centuries, watching for just such outbursts as they observed when we exploded 3 A-bombs in 1945. When you consider it in that light, the whole thing makes sense." (Letter, November 4, 1959). Personally I wonder why Coral didn´t think the other way around, that the UFO observations close to military installations were instead a control to make sure we didn´t start a nuclear war and destroyed our planet. But that idea could have been looked upon as an endorsement of the contactee messages of the 1950s, which both Coral and Rehn regarded as cultish nonsense. 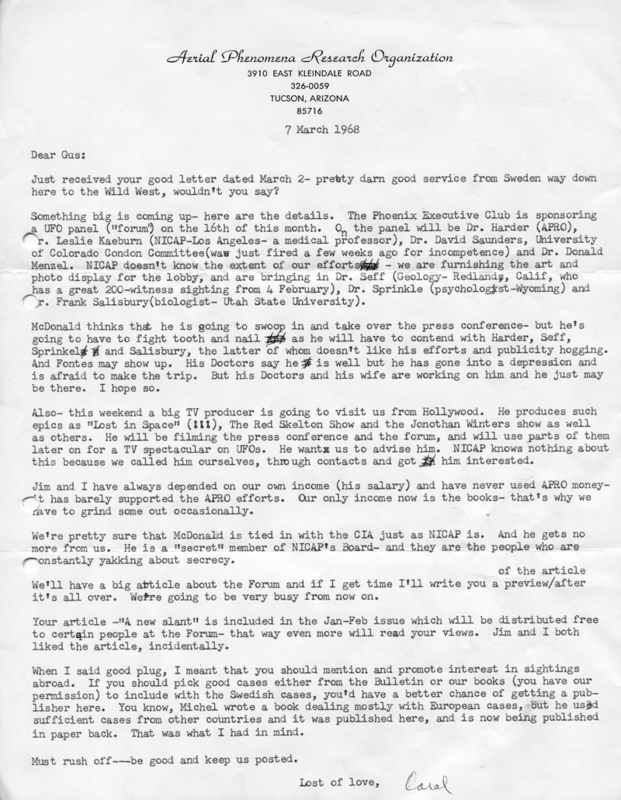 The letters also give a lot of detail on the constant competition and controversy with Donald Keyhoe´s organization NICAP, which was regarded as too conservative and a possible CIA front: "Someone must take the initiative and remain aloof and independent from the official.sponsored investigations. Someone, also, must objectively examine all of the evidence including the landing and occupant reports, which NICAP steadfastly denies." (Letter, March 11, 1967). "We´re pretty sure that McDonald is tied in with the CIA just as NICAP is. And he gets no more from us. He is a "secret" member of NICAP´s board - and they are the people who are constantly yakking about secrecy.". (Letter March 7, 1968). When evaluating and discussing contactee experiences neither the Lorenzen nor Rehn could "objectively examine all the evidence", possibly because of their aversion to anything that could be associated with religion. They simply disregarded the contactee cases with no serious investigation. Not a very scientific attitude. Coral referred to Orfeo Angelucci as "evidently a psycho case" (Letter, June 29, 1959). 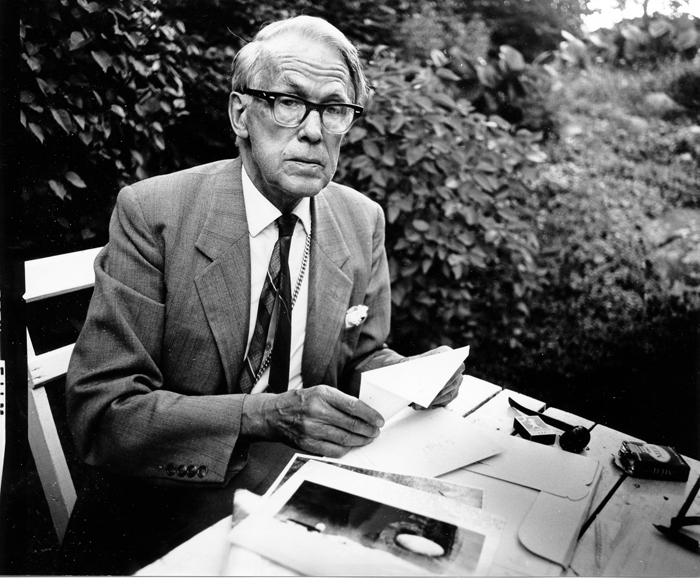 When Daniel Fry visited Sweden in 1970 K. Gösta Rehn wrote to Coral lamenting the visit and the "three masterpieces of drivel" he had written: "Coming up here, thinking he can fool stupid Swedes". (Letter, July 28, 1970). 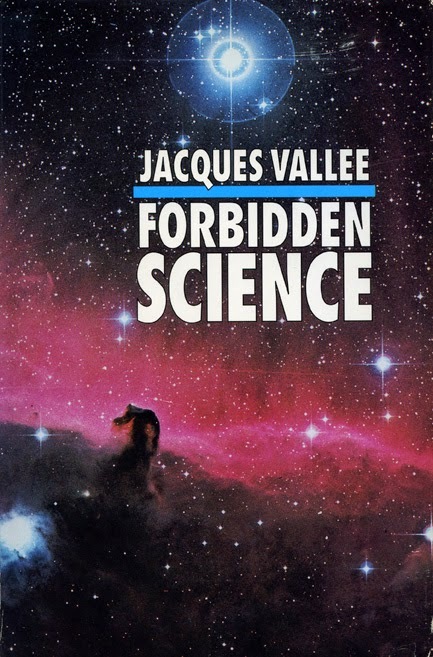 The writings of Jacques Vallee and John Keel in the 1970s created an ideological dilemma among APRO representatives who usually were ETI proponents. 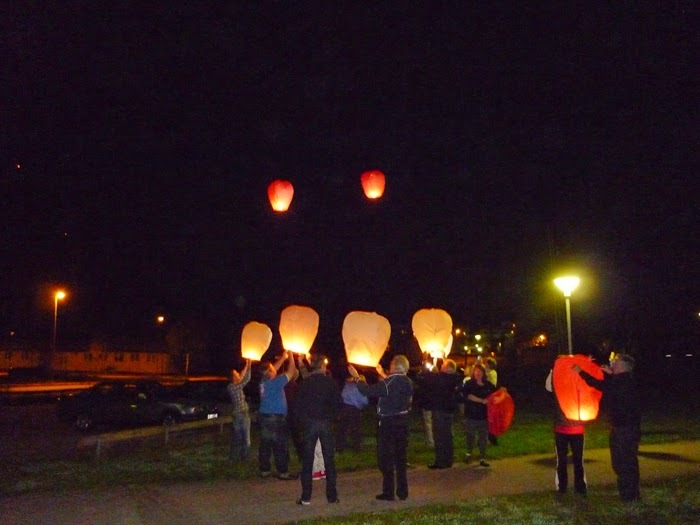 Neither Lorenzen nor Rehn were happy with this new trend in UFO research. In a letter to Coral and Jim, March 7, 1974, Rehn discussed this problem: "I am a pianist, an amateur pianist, a worshipper of musical art. That´s my natural, innate signature. Consequently I am a mushhead like most artists. This might dispose me toward sympathy with the Keel-Vallee views on UFO. In fact, I tried to shake off my stern empiricist´s gloss and wrote a magazine article to that effect. I like them but I cannot svallow the parallels humanoids - fairies, ghosts and other entities." In spite of Rehn´s materialism and cultural pessimism he was a romantic and dreamer who even had some hope regarding UFO visitations: "How about the UFOs? Well, there is a faint hope that a supercivilization have gone through all these crises and have managed to survive with their technology. They might teach us how to survive." (Letter, May 25, 1974). 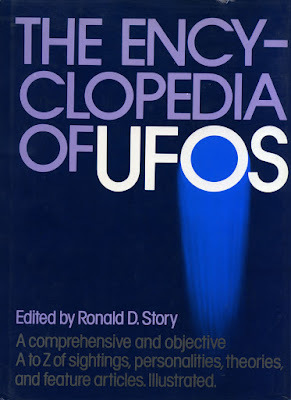 Going back to the indispensible reference work The Encyclopedia of UFOs by Ronald Story I find some interesting comments by Coral and Jim Lorenzen. In her position statement Coral writes: "There is a tendency toward "do your own thing" and little or no cooperation in the field. There are too many organizations and too many lone researchers who investigate cases, then file them away where they are unaviable to others for study." What a bizarre tragedy that that her own APRO archive today is unaviable to researchers. 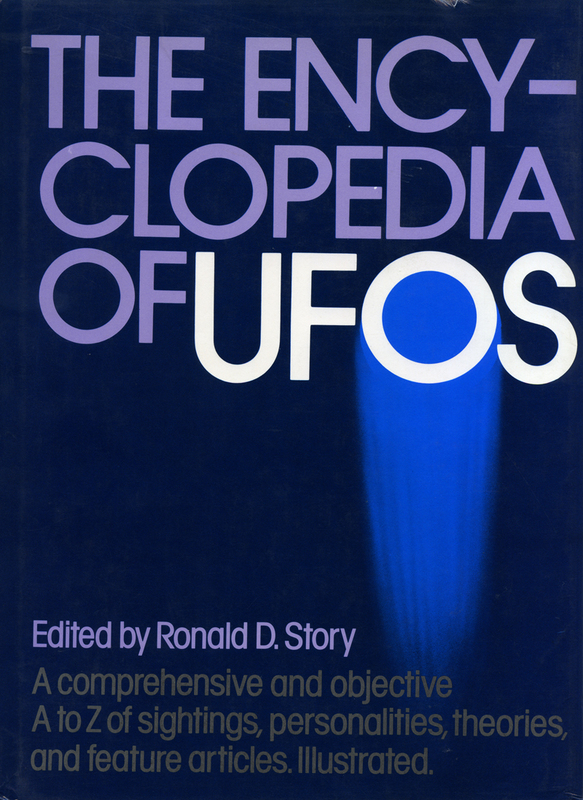 In his position statement in the encyclopedia Jim Lorenzen presents a more philosophical metaview of the UFO experience: "Perhaps we stand too close to the riddle and do not see the forest for the trees. Standing back a little we can see the outstanding characteristic of the UFO phenomenon: It is a mystery! What is the effect of a mystery? It causes us to think. To puzzle. To ponder. And our consciousness is raised. Maybe that´s what it´s all about? At any rate the journey is only begun and we have miles to go before we sleep...". The Rehn-APRO correspondence has been digitized at AFU and anyone with a serious research interest in these files can have copy. After many years of field investigation and documentation critical and scientifically oriented ufologists, Forteans and investigators of paranormal phenomena face the dilemma of finding a tenable and relevant theory, worldview or paradigm integrating all these diverse phenomena. Entering this realm becomes an intellectual challenge as the “paradigm market” presents a plethora of conflicting views and statements. But the existential implications of the unexplained phenomena forces the scholarly and open minded investigator to question mainstream science and philosophy. 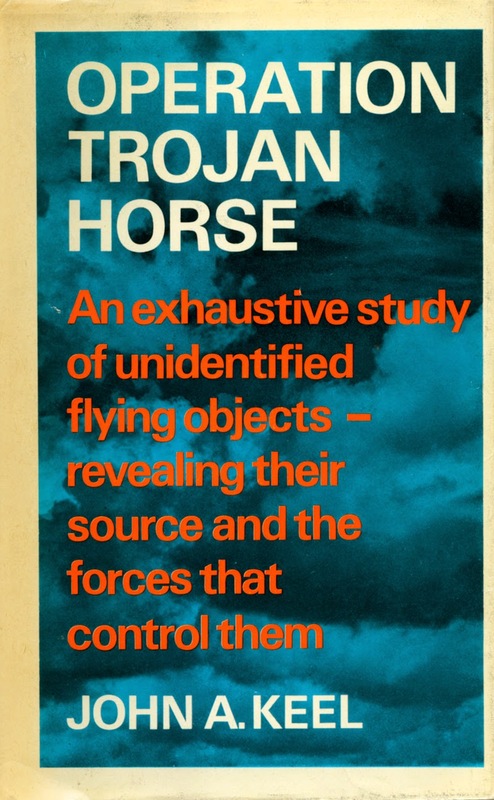 Journalist and Fortean John Keel expressed this challenge in his classic Operation Trojan Horse (1970): “I tried to adopt a very scientific approach to ufology, and this meant that I scoffed at the many contactee reports. But as my experiences mounted and investigations broadened, I rapidly changed my views... I have dealt with thousands of honest, sincere witnesses by mail, phone, and in person. My skepticism has melted away, and I have turned from science to philosophy in my search for the elusive truth". The investigator of edge or borderland science becomes an intellectual and cultural heretic and outsider as mainstream academic science is dominated by the reductionist and materialist paradigm which automatically discards anything challenging this basic worldview. There are of course a few brave academic scholars openly advocating a different view. Dr. Joscelyn Godwin at Colgate University, New York and Dr. Jeffrey Kripal at Rice University, Houston, Texas are excellent open minded culture radicals in this respect. My personal 45+ years in borderland research has also included dealing with the existential aspect of UFO and paranormal phenomena. With my academic background in History of Religions and Philosophy this was inevitable. I entered an arduous intellectual journey with many ups and downs including temporary stops at various metaphysical groups, Secular Humanism and Skepticism. In 1997 I became fed up with all the irrational and inhuman nonsense I had encountered in the UFO and new age movement and longed for the clear light of reason and common sense. 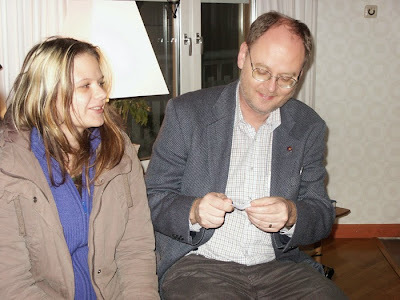 The result became six years active involvement in the secular humanist movement, in Sweden represented by Humanisterna. For several years I was elected vice chairman and in 2003 editor of the magazine Humanisten. After some ideological conflicts I left the organization in 2004. In many respects I still regard myself as a Humanist sharing several of the objects and views of the organization such as the importance of secularism, the fight for human rights, women´s rights and opposition to religious fundamentalism. The secular humanist movement has many praiseworthy ideas and projects and is a important voice in todays world threatened by religious fanaticism and intolerance. Unfortunately most humanists are hard-line materialists and reductionists with very little knowledge of phenomena and experiences that challenge this worldview. They sometimes appear as the reverse side of naive new age activists confidently proclaiming the truth with no empiricial data and research. They share this problem with the skeptical movement, in Sweden represented by the organization Vetenskap och Folkbildning - VoF. There are of course skeptics of all kinds. A critical but openminded attitude is a necessary intellectual tool when investigating UFO and paranormal phenomena. 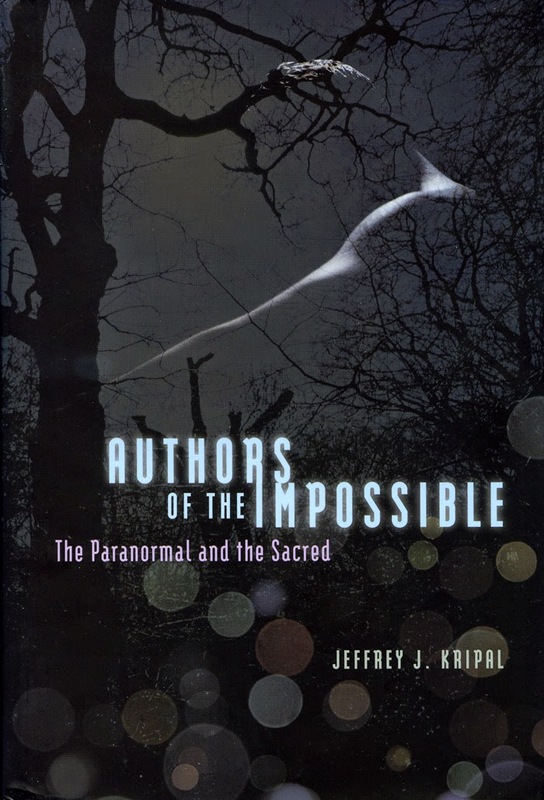 A detailed examination of skeptical internet sites and magazines reveal the fact that you will never find documentation of UFO or paranormal phenomena that remain unexplained. Skeptics are very anxious to print cases that have been solved by UFO-Sweden field investigators but you will never read about the unsolved cases. This is scientific and intellectual dishonesty. 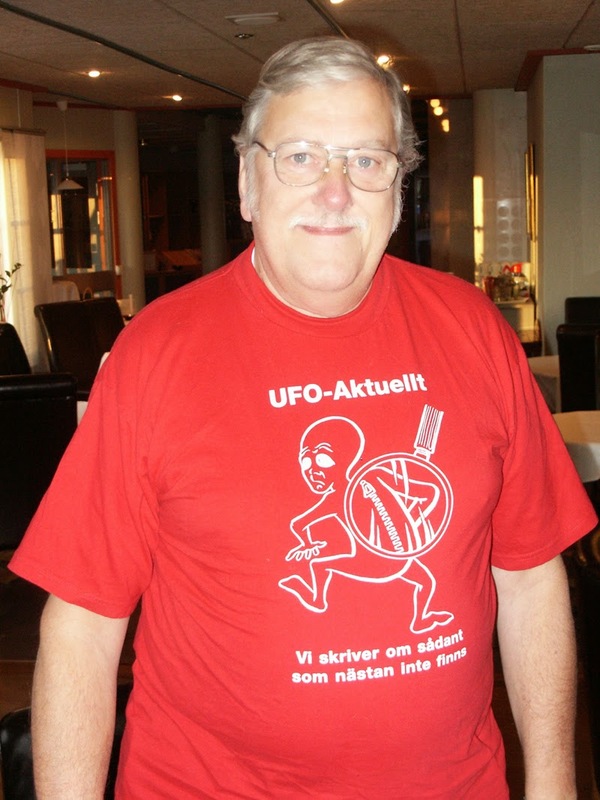 In UFO-Sweden publications you will find both the unexplained cases and those that have been solved and identified. This Allen Hynek quote is very appropriate here: "If you know the answer beforehand, it isn´t research." Still there are open minded skeptics who are doing some good research and also support AFU. Our foremost donor Hilary Evans was such a skeptic. Neither reductionist materialism nor orthodox religion has any tenable answers when faced with UFO and paranormal phenomena which clearly indicate a multiverse reality. If there is a multiverse inhabited by various sentient beings of different evolution and intelligence there must also be a science of the multiverse. Which implies that it is reasonable to assume the existence of "scientists" of the multiverse or custodians of knowledge not discovered by mainstream science. This is the position maintained by The Esoteric Tradition or The Ancient Wisdom. I have found the esoteric worldview formulated by a.o. 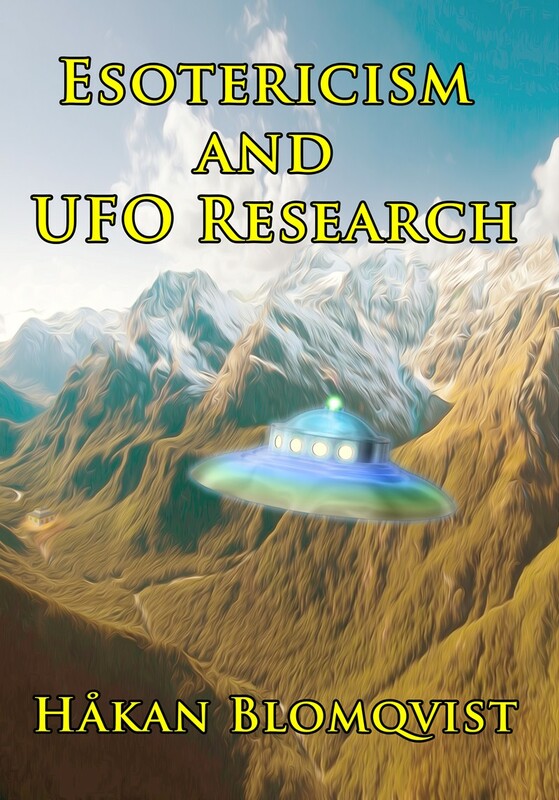 Helena Blavatsky, Alice Bailey and Henry T. Laurency the intellectually most interesting alternative paradigm to be used as a working hypothesis when dealing with UFO and paranormal phenomena. It represents a third way worldview between materialism och religion. What often makes me hesitant to use the label esotericist are the many cults and irrational personalities claiming to represent esotericism. There is also the problem of right-wing extremists and neo-nazis who use and promote esoteric ideas to attract recruits. There are unfortunately potential dangers in advocating esotericism in our socially and politically unstable and troubled times. Perhaps it was with ideas like that in mind that made the adept K.H.remarked in a letter to Alfred Percy Sinnett: "Modern science is our best ally". (The Mahatma Letters To A.P. Sinnett, letter 13). We use to say there is a spirit of place, the special quality associated with a city or rural area. Every group and organization also creates its own, special spirit or Genius loci. The unique and distinctive character of the organization shaped by the ideas, activities and personalities of the members. This also applies to UFO-Sweden. New active members will not only be confronted with magazine articles, Internet discussions and the official ideology but at a more subtle level experience the UFO-Sweden spirit. I believe this spirit was very well formulated by newcomer Amanda Fredriksson after having participated in her first annual weekend field investigator seminar in November 2008: "My general impression is that there is so much joy in UFO-Sweden". Mats Nilsson with his wonderful t-shirt saying: "We write about things that almost doesn´t exist"
This often mentioned joyfulness, goodwill and companionship has been the mark of UFO-Sweden for many years and is certainly one of the explanations for its success. There has of course been conflicts and problems but the very special UFO-Sweden spirit has prevailed and those who have been active for many years use to say that we are like a family. Deep and lasting friendships have been made. I belive many of my collegues share the feeling of homebase when it comes to UFO-Sweden. 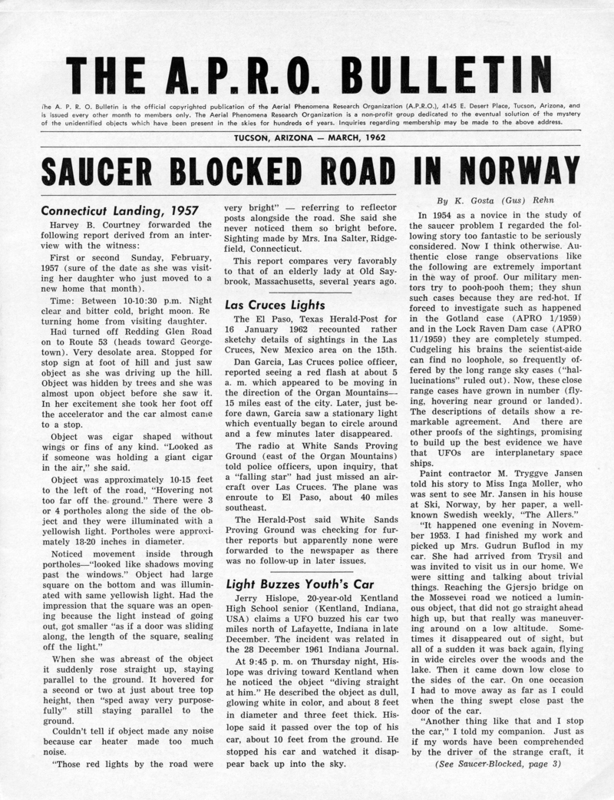 This UFO-Sweden spirit began to develop partly as a consequence of the annual field investigator seminars starting in 1977 at the Lersäter residential study center. 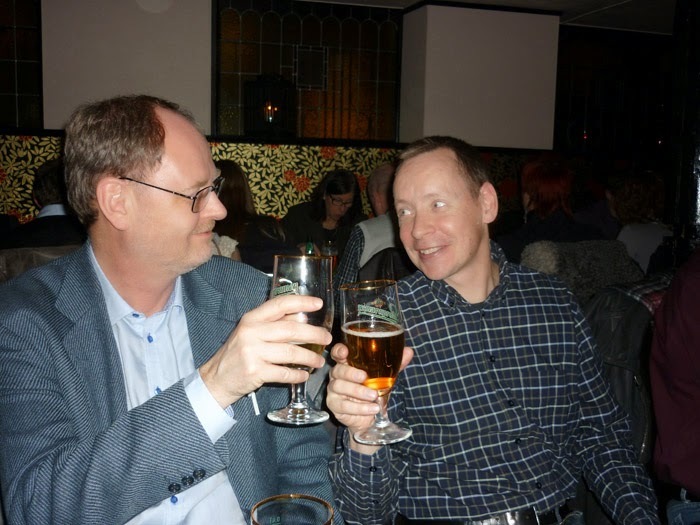 These weekend seminars soon developed into pleasant social gatherings for UFO-Sweden members and the notion of the Lersäter spirit was formulated. The annual field investigator seminars still have a very important social function when it comes to introducing and getting to know new members. Today the seminars are arranged at Föllingen hotel in Östergötland. Important social gatherings are also the annual conferences and expo, arranged in different Swedish cities each year. 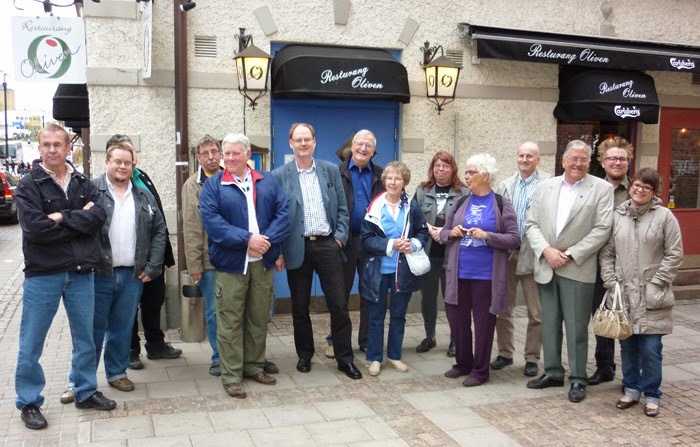 Since 1998 UFO-Sweden has one board meeting every year at the charming Hotel Lilton in Ängelholm. This meeting is combined with dinner and mingling at the hotel. 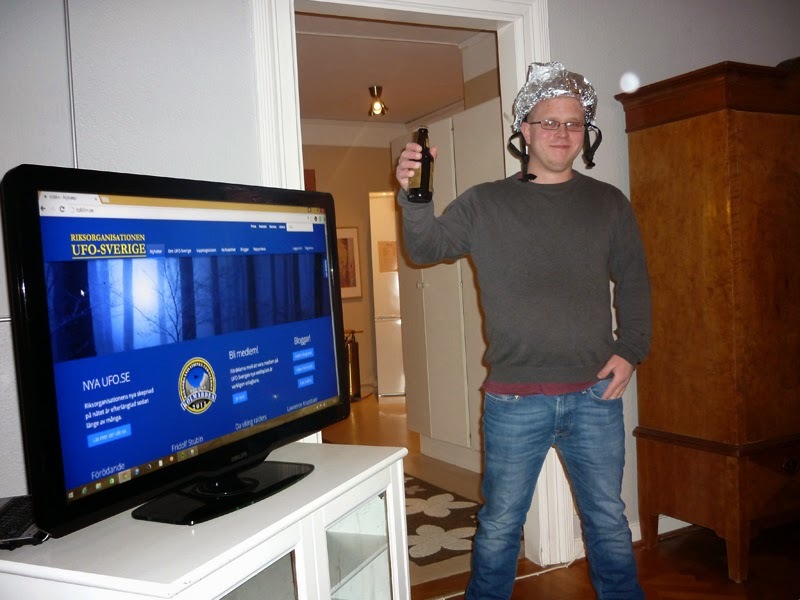 An important part of the UFO-Sweden spirit is the lack of fundamentalism, the open but healthy critical attitude coupled with humour and a somewhat irreverent view of the often strange underground world of ufos and Forteana that we are part of. Personally I adopted this attitude from John Keel whos wonderful humour and iconoclastic writings felt like opening a window and letting in fresh air when I first read his books in the 1970s. My hope is that newcomers in the organization will continue the UFO-Sweden spirit of goodwill, joy and companionship. Investigation, research, hard work, idealism is the important foundation but after 45 years in the UFO movement I can attest that the social dimension is of equal importance to create a successful organization. In my latest book Gudarna återvänder. Ufo och den esoteriska traditionen (Return of the Gods. 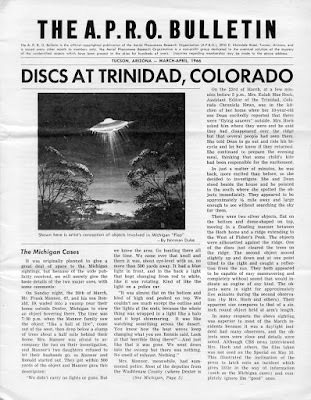 UFOs and the Esoteric Tradition) and several blog entries I have advanced the theory that some of the controversial physical contactees of the 1950s were involved in a cultural influence test. An experiment implemented by a group of benevolent aliens, earth based or extraterrestrial, a group with access to “vimana” technology. Within mainstream scientific ufology this is a rather heretic theory and can be regarded as an expanded version of Jacques Vallee`s Esoteric Intervention Theory. 1. Many years of investigating and documenting physical contact cases have convinced me that some individuals (very few) have actually met and communicated with “aliens” from somewhere. 2. 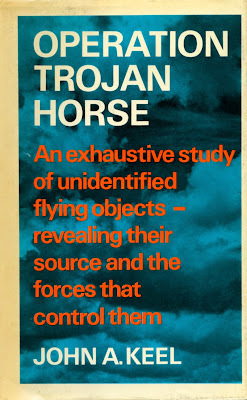 In spite of their faults and personality idiosyncrasies there is circumstantial evidence that the following contactees were involved in a cultural and psychological test: George Adamski, Orfeo Angelucci, Daniel Fry, George Van Tassel, Howard Menger. 3. 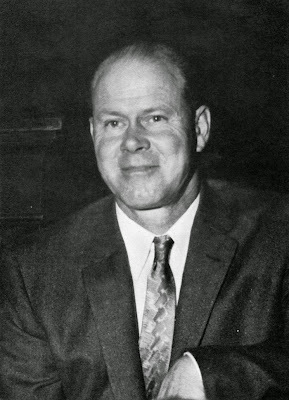 The contact experiences of journalist Paul M. Vest indicates that the test was a carefully orchestrated plan by this benevolent group. 4. The message or information presented to these contactees is a somewhat simplified version of the Esoteric Tradition with basic ideas such as: a multiverse reality, reincarnation, universal laws for the evolution of consciousness, Earth a quarantined or “prison planet”, man not alone in the universe etc. In order to detect and understand the similarity in ideas between the contactee messages and esotericism a thorough acquaintance with the works of Helena Blavatsky and Alice Bailey is required. Few ufologists have this background. 5. The “hidden hand” similarities between the outbreak of spiritistic phenomena in the 19th century and UFO phenomena in the 1940s and 50s. In the Esoteric Tradition this hidden hand is the planetary guardians, the custodians of the Ancient Wisdom (scientists of the multiverse) using "phenomena" to expand the worldview and consciousness of man, a form of education through astonishment. A seminal influence on my developing this theory has been the contact experiences and ideas presented by Paul M. Vest in his article Venusians Walk Our Streets, originally published in Ray Palmer´s Mystic Magazine, August 1954. 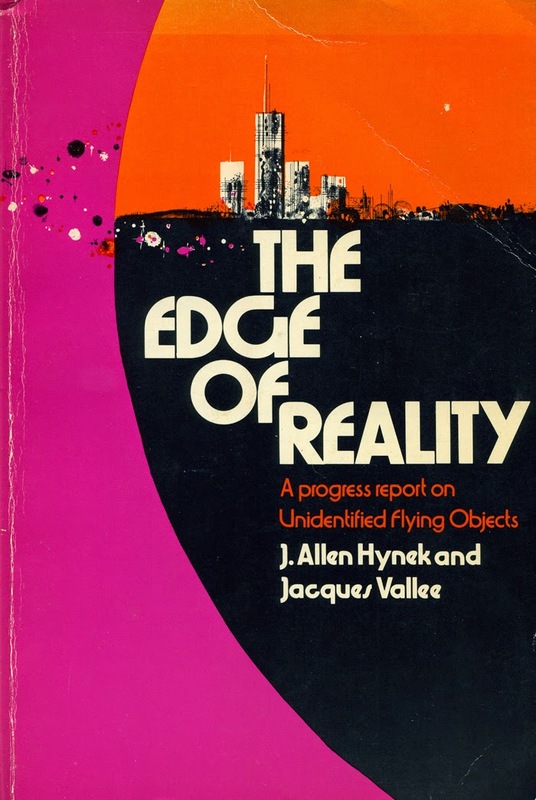 From an esoteric viewpoint this is one of the most fascinating and intriguing articles ever written on the UFO enigma. In an earlier blog entry I discussed Paul M. Vest and his meeting with the enigmatic "Bill". For many years I have tried to obtain more data on Paul M. Vest, without much success. From Janet Kerschner, National Archivist of the Theosophical Society in America (Adyar), I recieved the information that Paul M. Vest was living in Santa Monica in 1940. He was single and working as a government clerk and living as a lodger. Checking with the Santa Monica Public Library I was informed that Paul M. Vest was listed in the City Directories from 1940 until 1958. Some very good help was provided by Joshua Blu Buhs, author of Bigfoot. the Life and Times of a Legend. 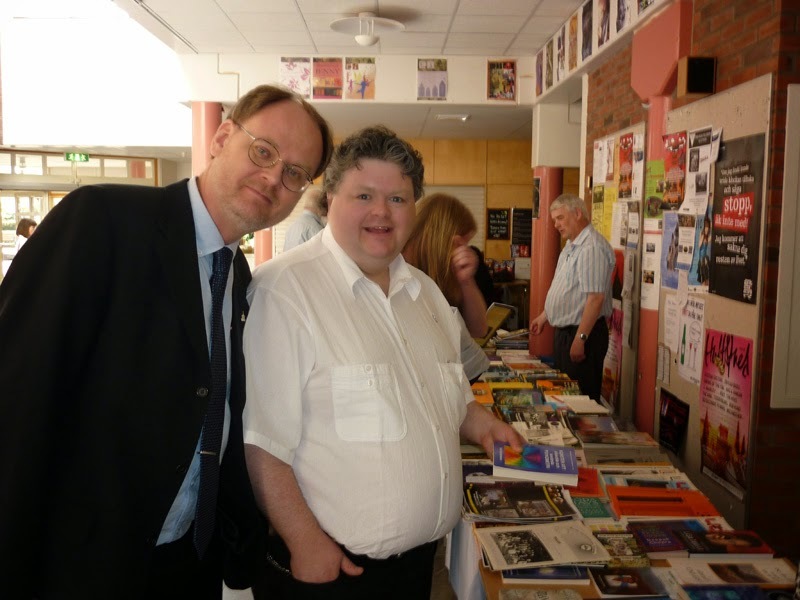 Joshua also maintains an excellent blog on Fortean personalities and history. Joshua Blu Buhs found some additional data on Paul M. Vest and also an old photograph. Paul Maurice Vest was born on August 9, 1906 in Colorado. Parents were George Vest, a rancher and Mary Harding. In 1935 Paul moved to Seattle, Washington and later to Santa Monica, California. In the 1940s and 1950s he worked for the city government in various capacities, including a collector of fees for licenses. He died in Los Angeles on March 5, 1983. In some of the articles that Paul M. Vest wrote for Fate Magazine he presented himself as Ph.D. But I have found no data of where he obtained this degree. 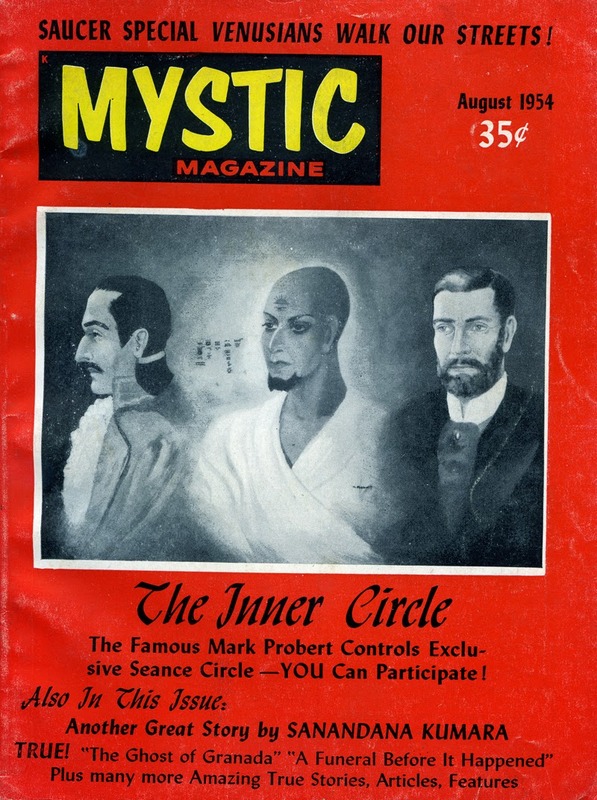 The articles Paul M. Vest wrote for Fate Magazine in the 1950s and 60s indicate that he was an accomplished and erudite esotericist, well versed in the writings of Helena P. Blavatsky and Alice Bailey. He defended these pioneers in two biographical articles. Commenting on Blavatsky he wrote: "One day the world may discover that this magligned and abused woman was even more right than we imagine today." (Fate, October 1951). His assessment of Alice Bailey was given in a biographical article in Fate, June 1963: "No modern voice, however, has spoken out more forcefully and authoritatively affirming the reality of "The Masters" than that of Alice A. Bailey." In the pages of Fate Magazine he also shared several personal paranormal experiences and encounters, presented under the Fate heading True Mystic Experiences. In the December 1952 issue he relates an out-of-body experience when he was close to drowning while swimming in the Pacific Ocean near Sal Beach: “… I was suddenly no longer in my drowning body. As swift as a flash my consciousness, or self, had withdrawn to a distance 10 or 12 feet above and was looking down at my body floundering in the sea… I watched swimmers rescue my body and haul it unconscious to shore… Since that day I no longer think of my body as “I” any more than I would think of one of my garments as “I”.” (p. 65). In the February 1954 issue Vest relates an experience that happened in 1928 while he spent some time at a summer resort in the Colorado Rockies. He enjoyed walking at night in the forest surrounding the resort. One night he discovered that he was lost in the forest. In a clearing he discover a mountain cabin but when approaching he is overwhelmed by a sense of foreboding and fear. “Then about 10 feet ahead of me a soft glow appeared. Astonished, I saw that the light formed the outline of a tall robed figure, the details of which were not visible. The figure pointed off into the forest to my right.” Vest walked in the direction the figure had indicated and soon found his way back. The next morning he was informed that a very violent murderer had escaped and had been captured in the cabin in the forest. (p. 52-53). The encounter with “Bill” was obviously a momentous event in the life of Paul M. Vest. He recognized his visitor as “no ordinary man” but a “much wiser, gentler and more highly evolved being than I – and with infinitely greater perceptive ability.” I have not found any more articles by Vest regarding his involvement with Mr. Wheeler. 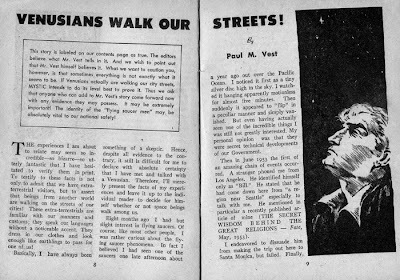 I hope my American colleagues can discover more data on Paul M. Vest, perhaps also his personal archive and correspondence. The cultural impact of the first generation contactees was tremendous and the books they wrote translated and published in many countries around the world. There are still many questions and riddles to be solved relating to this “esoteric intervention”.